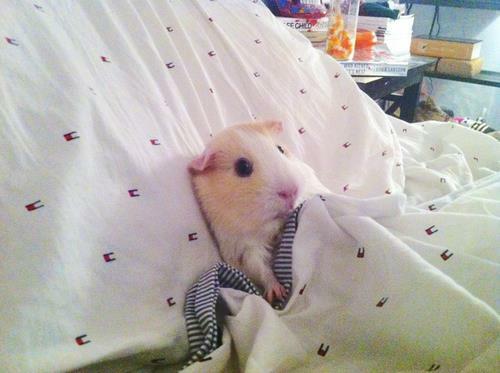 We here at Fuzzy Today love guinea pigs, especially ones doing adorably cute and inexplicable things. I hope that he has a good nap! While pictures like this are irresistible, I have a hard time reconciling the idea of putting Cola or Fizz in a bed long enough to get a picture. So many opportunities for bathroom accidents and the like. But this really makes me want to take more themed or posed pictures with them!